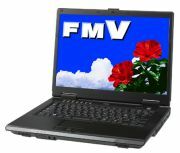 Posted on April 18, 2007 by Chad O.
Laptoping.com is saying that based on the product pages, theFujitsu FMV-BIBLO-MG is not based upon Intel’s Santa Rosa platform, but instead uses the Intel Mobile 945 or 943 chipsets. They are reporting that the FMV-BIBLO-MG is using an Intel Core 2 Duo T5500 CPU with a 667MHz front-side bus, based on the “Napa” platform. These are running Microsoft Windows Vista as the OS. This entry was posted in Fujitsu, OS - Vista. Bookmark the permalink.